Riding a sheep for saving cost. Lately, the necessity good's price have increased rocketry. It's began with the increment of petrol price and the subsidy reduction. The implementation of price hike caused a spike in cost of living and outbreak the outrage. In the event to survive in the middle of today's struggle, I have found an alternative. 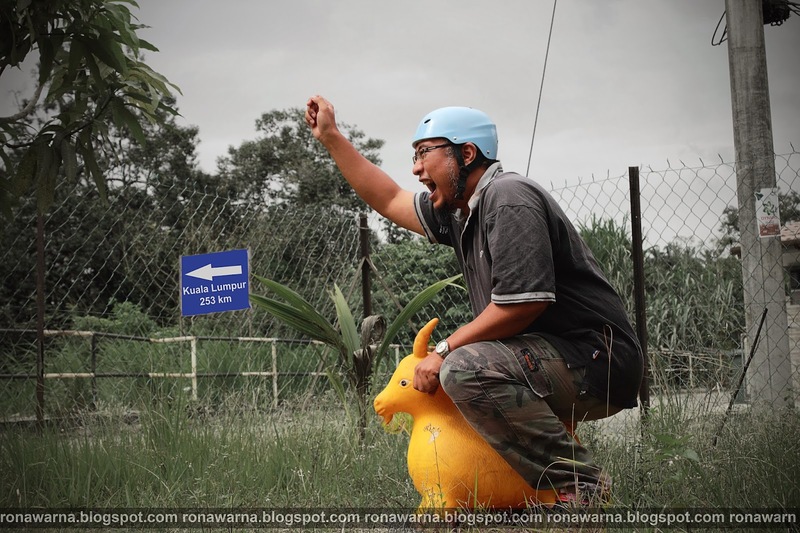 As mitigation on the stiffy cost of living, use kambing (goat) as mod of transportation. So, no need gas to fuel up or ticket for highway toll.